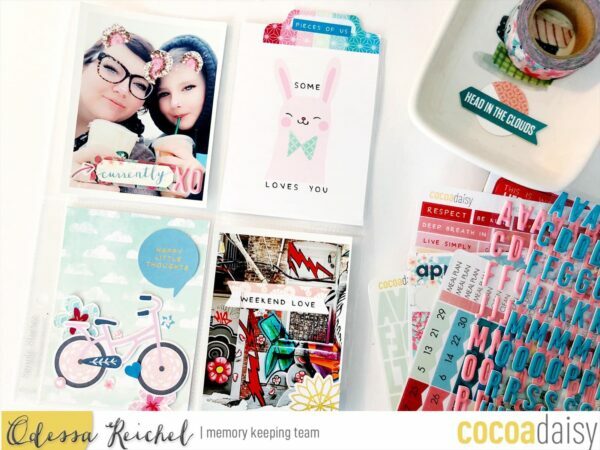 Don’t you just love how both the Planner and Memory keeping kits go well together? 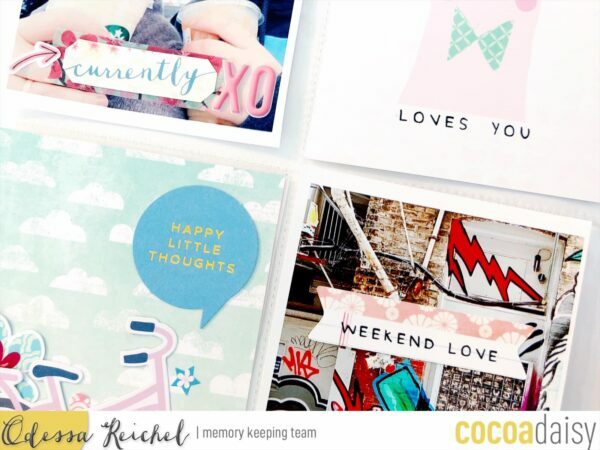 You can totally mix and match them into a planner spread or into a memory keeping layout. 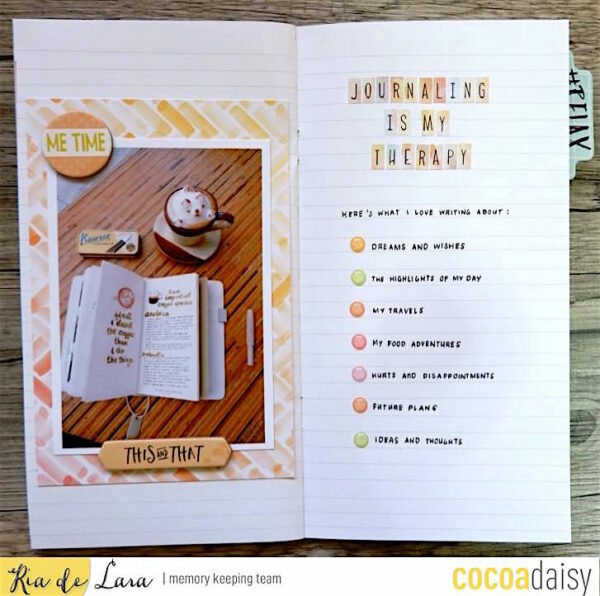 Today, my teamies Odessa and Moon and I are sharing with you how we used some pieces from the Planner Kits into our memory keeping. 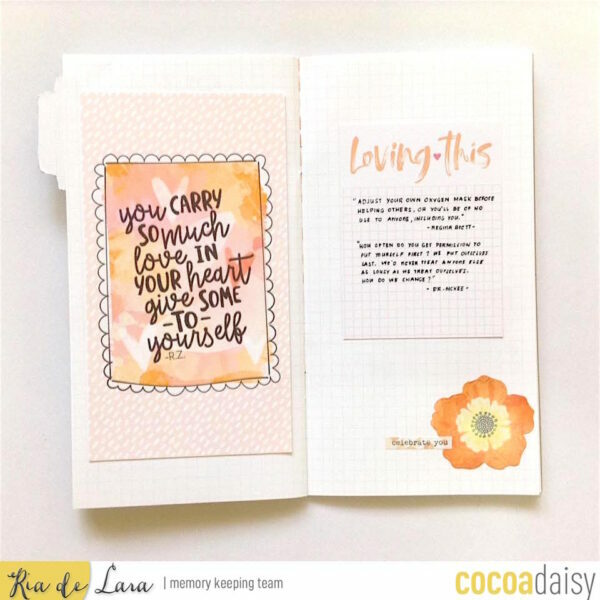 First up is Odessa using planner pieces from the Cherish Blossom kit. 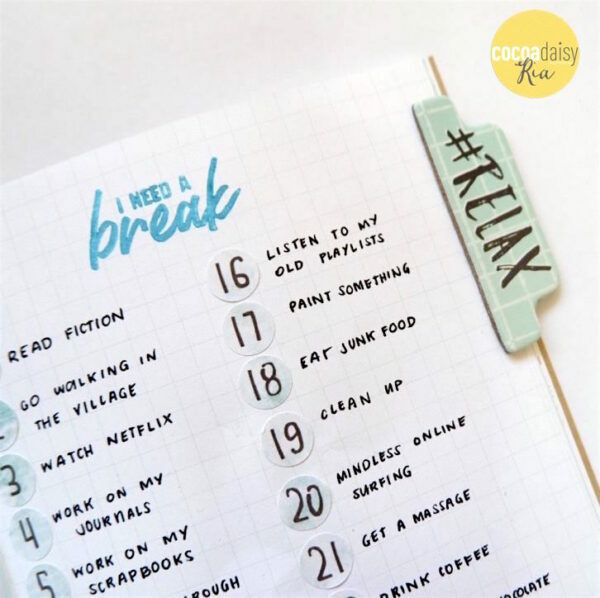 She combined some things she liked from the planner kit such as the tabs, some ephemera, the adorable washi and cute little planner stickers with some things from the other kits to make this pocket page. The little stickers on the planner sticker sheets are such a great accent! 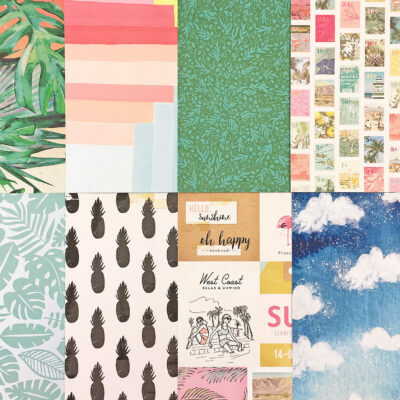 I totally love the colors that she used in this layout. 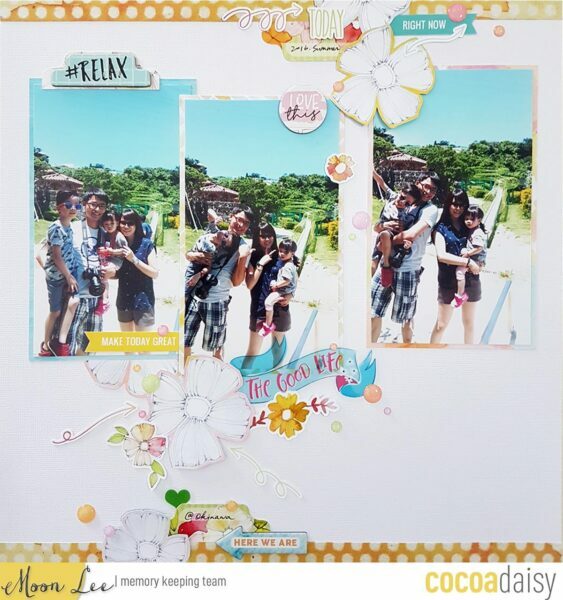 Next up is Moon using planner pieces from the Fresh Cut planner kit. She loved those flowers from the patterned papers and the die-cuts so much! Also, she thinks the arrows are super cute. To her, every item looks so fresh with the photos of her brother’s family. I totally agree! Here is a close up of her work. 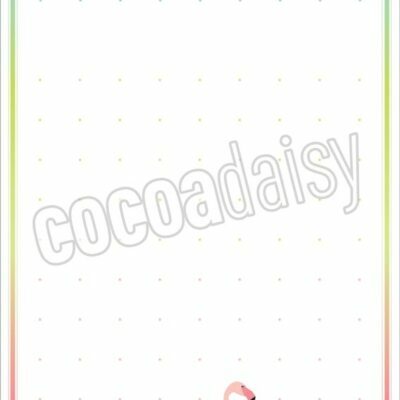 I’m loving all the happy layering going on in her layout. 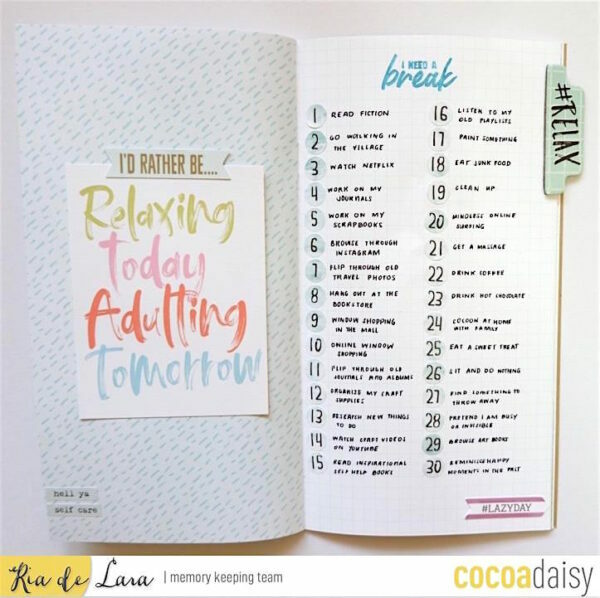 My Simple Dori for March is themed Self-care and I’m sharing layouts using the planner pieces from the Fresh Cut Planner kits as well. 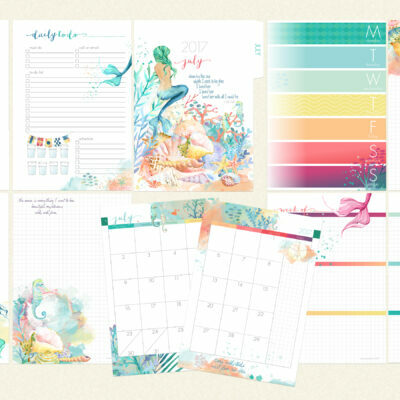 The Fresh Cut Planner Add On kit always has an alphabet and number sticker sheet. I especially loved the watercolor effect from this month’s kit. You can use these alphas for titles or short quotes. 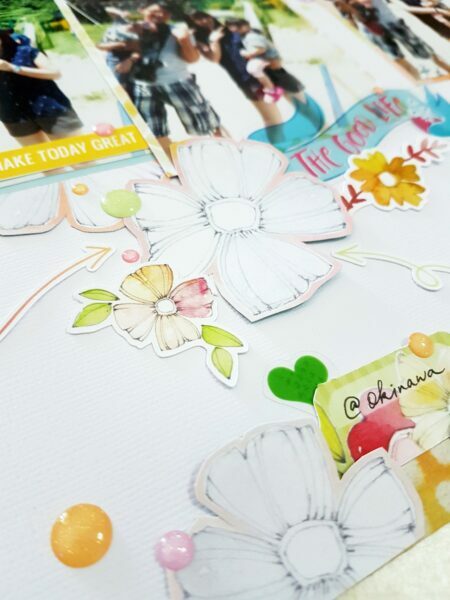 In this next lay-out, I used the number stickers from the Fresh Cut Planner Add On kit as well. I loved that the numbers are up to 31, so I can really make a long list with it. I love using stickers especially when doing some numbering so that I could make less mistakes. 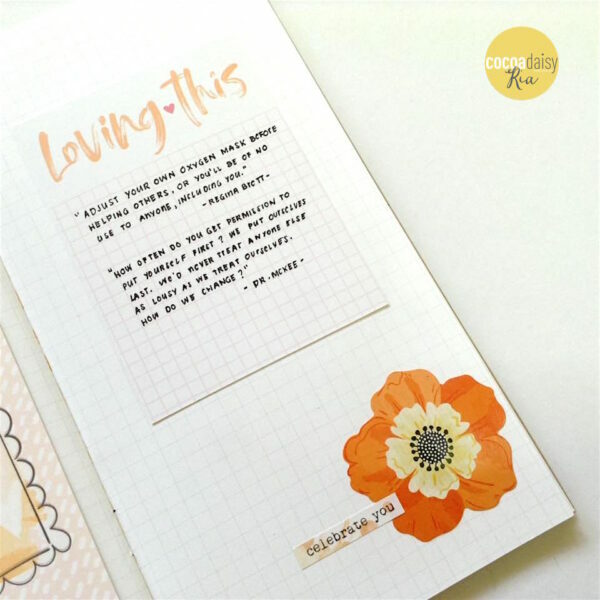 In this next layout, one of the planner dashboard pieces take the focal point in my spread. I loved this quote so much because it really is the essence of the theme of my current Simple Dori. No photo layouts are awesome too, don’t you think? Thank you for passing by. 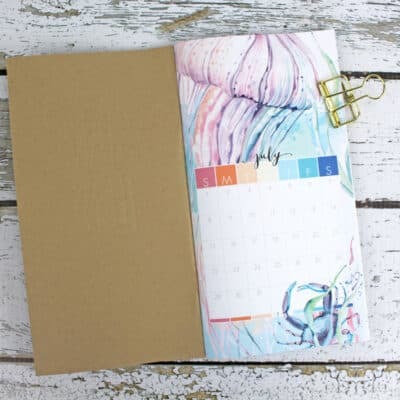 If you have projects incorporating the planner kits into your memory keeping, do leave a comment. I would love to know more about them.